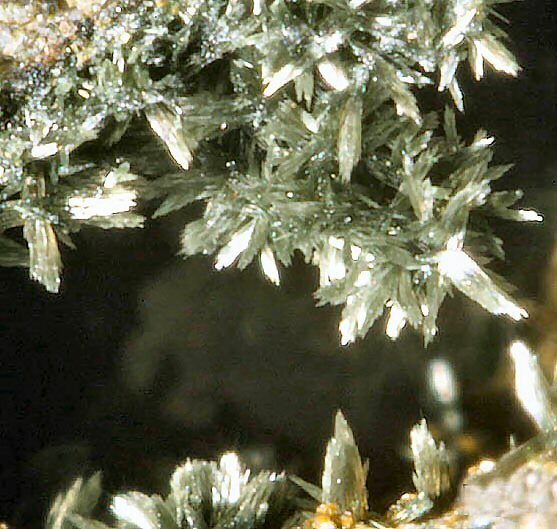 Comments: Crystals of pumpellyite-(Fe+++), to 0.1 mm. Location: Braen Stone Industry Quarry, Haledon, Passaic Co., New Jersey, USA. Scale: Crystal Length 0.1 mm.